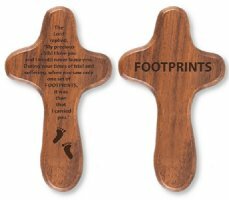 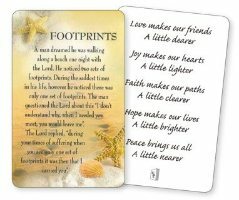 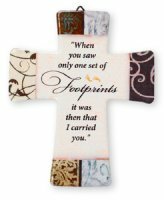 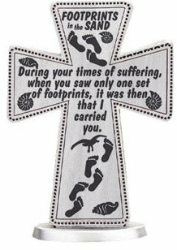 Footprints in the Sand - Standing Cross 3 inch. 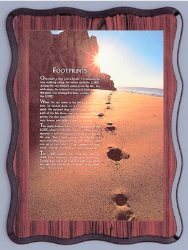 Wooden Wall Plaque - Footprints in the Sand. 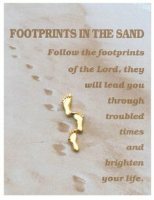 Footprints in the Sand Brooch. 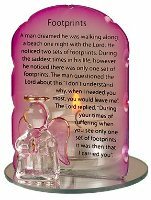 Footprints Glass Bracelet With Charm.